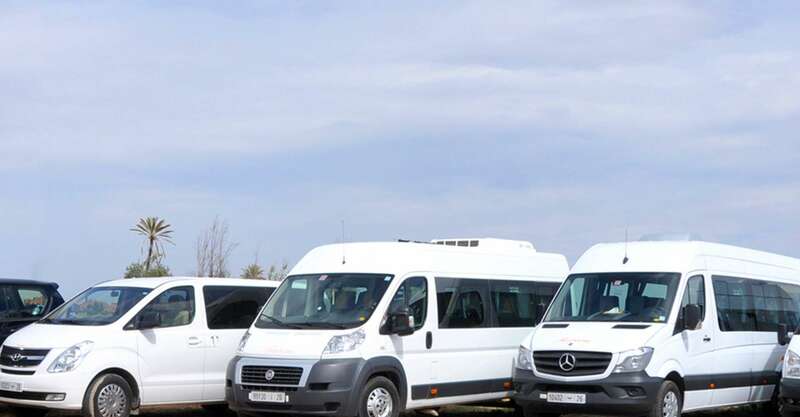 Our service of transfer by minibus, 4×4 or car. For your comfort, by day or night, we put to your disposal a comfortable vehicle with driver, for your travels around Morocco. Those services prices are in a package; its price varies according to the vehicle and the distance. This package is applicable no matter the time of the day. We will be waiting for you in the airport with a sign with your name. No extra fees will be charged if you arrive during the night or if your flight is delayed. The transfer is private (Only for your group). The driver will come and get you where you are staying and drop you wherever you want. For your visits and your evenings out, the driver will be at your disposition.